We’ve been spending so much time in the car lately, we’ve really enjoyed listening to audio stories to pass the time. Lately, we’ve been listening to the Brinkman Adventures. 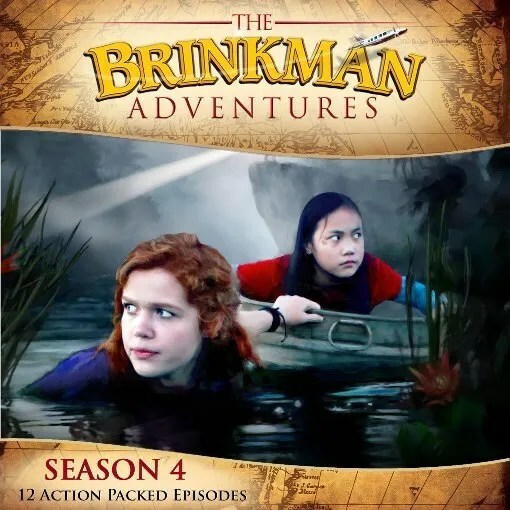 Brinkman Adventures Season 4 offers just as many exciting stories as the other Brinkman Adventures we’ve reviewed before including Season 2 and Season 3. The Brinkmans are a fictional family who share true missionary stories. The stories are inspiring tales about bringing people closer to God and watching people overcome adversity. While many of the previous seasons have been about the Brinkmans themselves, Season 4 is about the Brinkmans, but also other missionary friends they know. Episode one starts out with the Brinkmans stranded at a camp due to severe rain. Mrs. Brinkman is several weeks away from her due date, but she suddenly goes into labor. The drama is intense, but all ends well, and Mrs. Brinkman gives birth to Micah. Later, the listeners hear about a young girl, Nhu, from Cambodia who was sold as a slave. Missionary Carl Ralston was committed to finding and saving her, but the journey to do so is long and fraught with deceit. Nhu herself was able to do her own voice work for this audio story! In addition to that exciting story, there are many other fascinating stories such as an abused Somali wife, Aisha, who finds Christianity through her abusive husband when he has a change of heart. Or the story of Dimitri, a Russian who celebrates church services in his house, is caught, and is sent to jail and later ordered to be killed, until a miracle happens. One of our favorite stories was the story of Glen Chapman who was trying to show a film about Jesus to people in the Congo. One of the Brinkman daughters was along, and she was eager to write a blog post about the entire experience. However, many obstacles are in their way, and it looks like they won’t be able to show the Jesus film during her stay. However, by the end of the story, something far more wonderful and inspiring has happened. You can go to the Brinkman Adventures’ website to read the true stories of each of these individuals and see their pictures. I was thrilled to read more about Nhu and that she is now happily married and her difficult past is behind her. Overall, we loved season 4. The sound effects are wonderful, and the stories are gripping, exciting, suspenseful, and encouraging. Cuddle Bug said she most enjoyed how exciting they made the stories by having dangerous things happen to the missionaries. These stories are good for all ages. Your entire family will likely enjoy these! Keep up with the Brinkman Adventures via Facebook.